Great looking pillow for the cattle rancher livestock Barn. 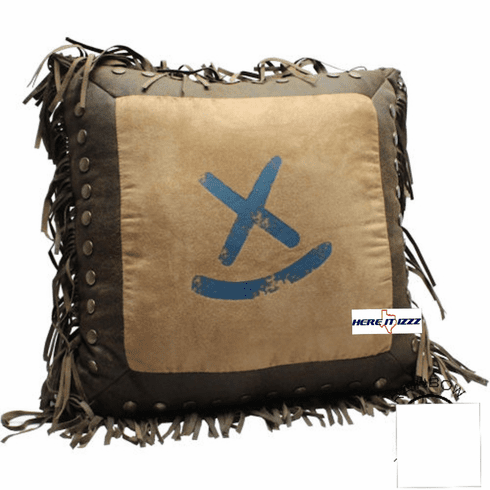 Designed as an accessory for our Cowboy Branded Western Bedding Set but is cool addition to any western decor.Mesuring 18x18 the Rocking X logo is printed in super soft micro-suede. The pillow edges are designed to look like distressed leather with 3 inch fringe and studs.